Feng Shui To Create More Time In Every Day! If ever there was a time where I wished for 100 extra hours in a week it’s right now. I want to share about 50 amazing homes, products, ideas and scientific discoveries with you, plus the metaphysical awesomeness I have been learning, but right now I realize I have the mindful time for just one big thing. It’s the biggest thing I see for myself as game-changing and maybe it will be of use to you, as well?! There’s so much I want to do and there’s nothing I want to miss and wow I would love 100 extra hours this week… but… there’s also this other great thing that I realized having been in this situation so many times in the past. I know that I need to re-design my days. And as I’m doing it, there are so many things I’m excited to share. If you’ve got loads of things you want to do or, even more daunting, so many things that don’t seem to arrive despite your best intentions and trying hard, you may be due for a re-design, too! 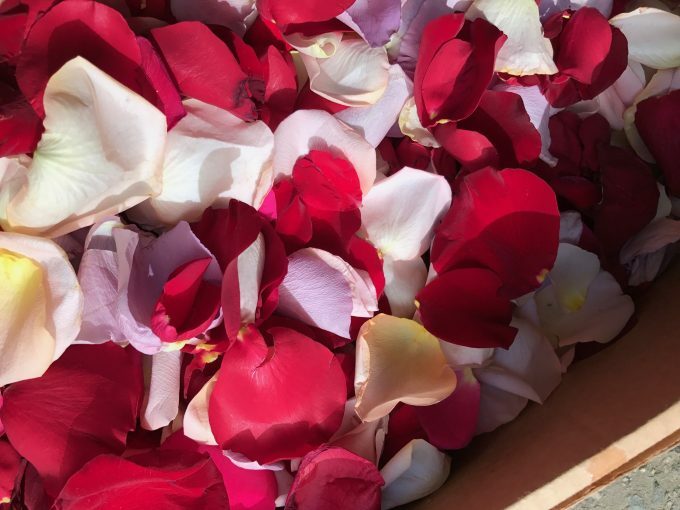 There’s wonder everywhere- like boxes of rose petals I found in New York last week. During that trip I saw myself in the light of just how much room I have for things that I, myself, want. I asked myself questions that were asked to me last time my life got very full. Even a full life of mainly great things can need more space. Ask yourself some questions that can help you see where you can make more room for your life! Do I have enough time to do nothing? Do I have enough rest? Do I spend enough time with friends? Do I explore enough in a week to feel like I’m stretching myself? Do I enjoy what I’m doing while I’m doing it? Always, until I hit an overload. What about you? Are you feeling that you’re making the most of your time or that you’re running to catch up with a race that’s off in the distance and far ahead of you? 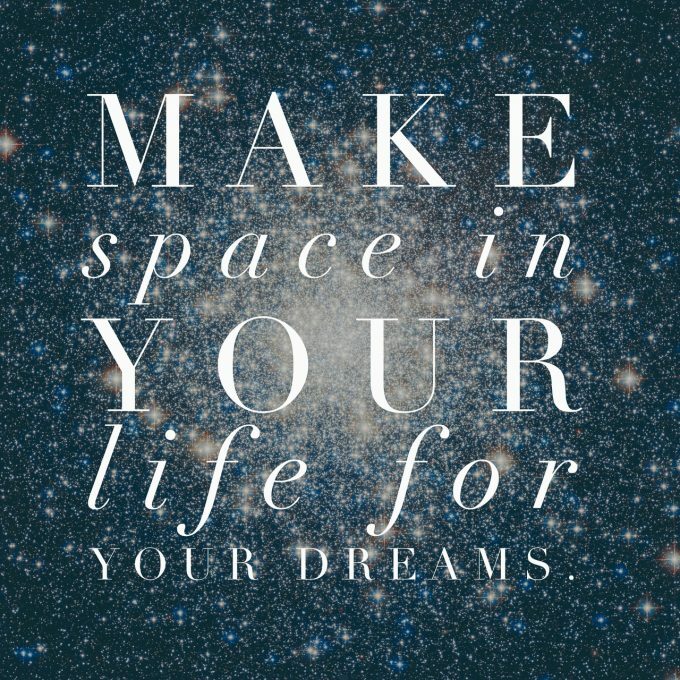 Go get space every day, more than usual, for your mind to unwind. While I love the idea of meditation, open eyes and walking, stretching, moving have proven really important to get a sense of actual physical spaciousness as well as mind clarity. 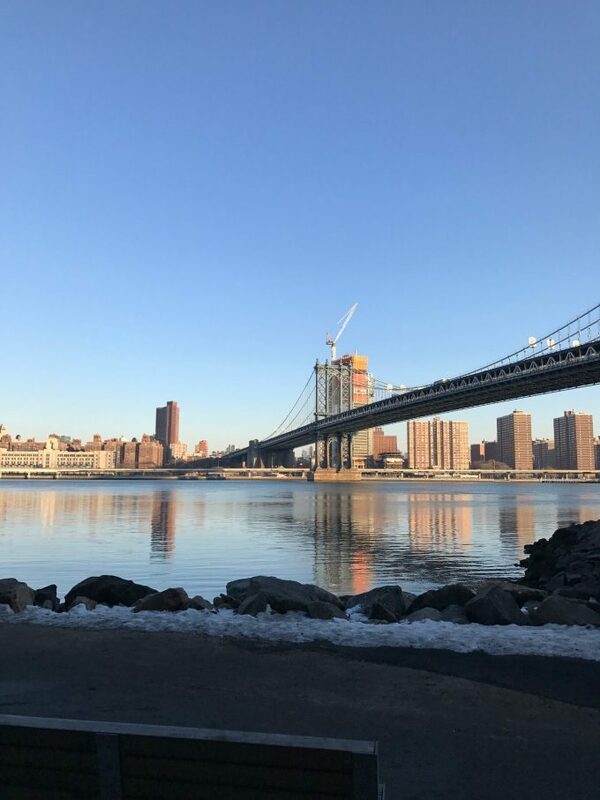 My 7am walks on the water looking out over the city were extremely important, albeit short and cold (that’s actual snow up there, a shock to my LA system!)! Longer walks, visits to forests, hiking up high with a view= all are great mental space making. Bob my fur baby and I are talking longer walks every day now so I can observe his curious, sniffing, meandering, playful ways for long stretches! And… of course… once you see what’s been overloaded… now… start clearing. Get help where you need help with things. Find distractions and start clearing them. Eliminate extra stuff on counters, shelves and everywhere that crowds your mind. And dig deep to see if you have some ideas or habits that are pulling you off your path, then start sweeping them away as well! Clutter kills time that should be used for awesome things. Clear it and you’ll set yourself free!!! P.S. : In time for te greatest New Year ever (!) the Catalyst Camp FREE video series is coming to walk you through my feng shui’d de-cluttering methods that have sparked many’s a life revolution! You can sign up HERE to watch them as soon as they arrive! Previous post: New Moon Fresh Start Feng Shui! Next post: Feng Shui To Cleanse Your Home & Life Of Creative Blocks!